The investment office at MIT share the three ways they earn high returns on their portfolio. On a long-term basis, we see three primary ways to earn high real rates of return. First, we want to partake in the long-term returns of high quality businesses. To the extent we can invest with managers who buy holdings at attractive prices in well-managed businesses with strong and sustainable competitive positions, good growth prospects, and high returns on capital, we can earn significant rates of return through the patient compounding of capital. Second, we want to participate with exceptional people applying specialized skills to add value to assets. Examples of this would include real estate operators who buy and fix properties, venture capitalists who help start-up entrepreneurs grow businesses, energy firms that discover and extract commodity reserves, and private capital managers who buy and improve the operations of well established companies. In these cases, the investment returns consist of both the underlying intrinsic growth of the asset and the value added by applied expertise. In this way, even lower quality, low growth assets can offer substantial rates of return. Third, we want to allocate capital into market dislocations. During periods of uncertainty or severe economic stress, markets often experience significant price declines. While price declines usually are rational responses to new information, certain securities may decline in price due to fear and other short-term concerns not relevant to long-term intrinsic value. In these circumstances, we have the opportunity to earn excellent returns by maintaining a long-time horizon and having the fortitude to buy when others are fleeing the market. The above has worked for the investing chief at MITIMCo. The endowment doubled from $8.4 billion to $16.4 billion since he took over in 2006. He also worked under Swensen for ten years before that. One competitor [Seth] Alexander didn’t surpass was David Swensen, the longtime investing chief at Yale. Swensen is credited with training managers including Alexander and those at Stanford, Princeton and the University of Pennsylvania. Even at Yale the endowment nearly quadrupled in size while he was working there. Yale’s endowment ballooned to $15.2 billion from $4 billion during Alexander’s tenure. He played an important role in the University’s success, Chief Investment Officer David Swensen said in an e-mail. 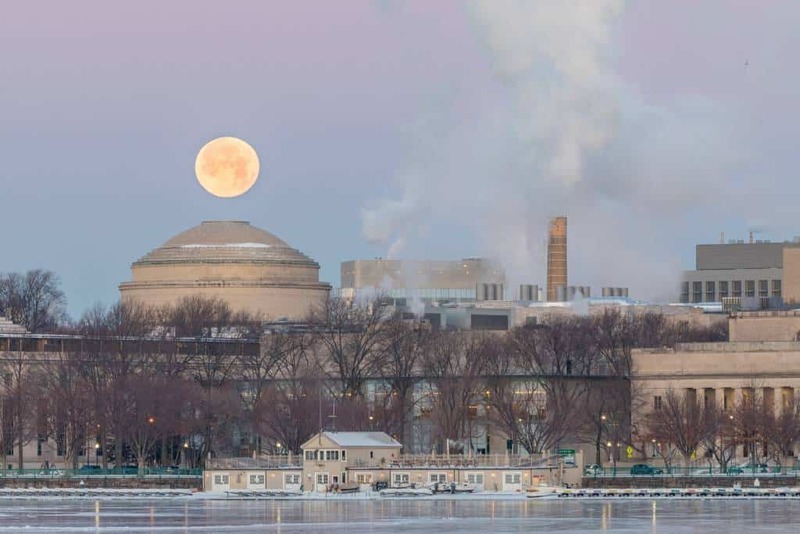 Supermoon above the Great Dome at MIT campus.